What’s New Winter Revival Service for Wednesday, January 30 will be Live Streamed. Due to the extremely cold temperatures, there will be no “on-site” service tonight, Wednesday, January 30. 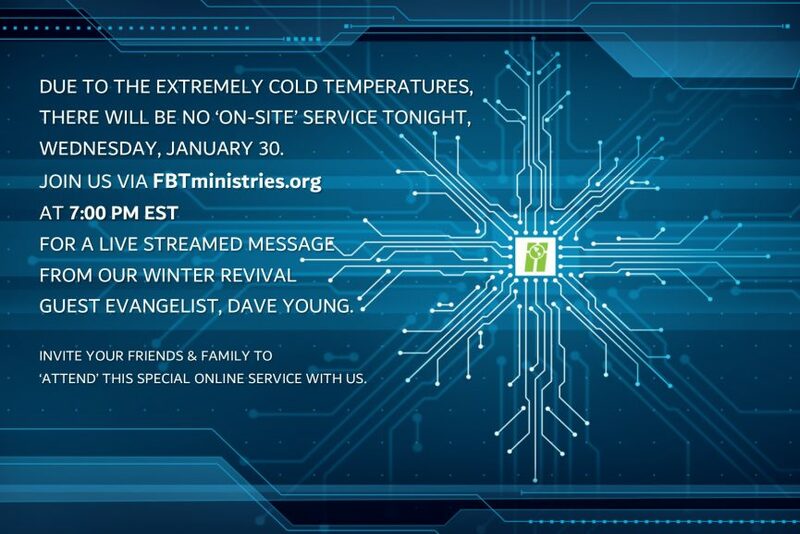 Join us here at 7:00 PM EST for a live-streamed message from our Winter Revival guest evangelist, Dave Young. Be sure to invite your friends and family to “attend” this special online service with us. To tune in to tonight’s service, click on the Resources link above and then Live Stream Video or click HERE.